Got a Junk Car? - We Pick Up for Free - Any Condition! Car Not Running? No Problem! We accept Junkers, Non-running, Wrecked or Totaled Vehicles for Donation! 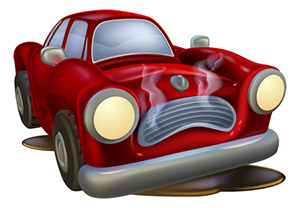 Do you have a junker or wrecked car that you want to have removed? Donate a Car 2 Charity providesconvenient and free removal of junk cars nationwide. Use our convenient service to donate junk carsand we will pick up your junk car or wrecked car with absolutely no cost to you. Our service is completely free! No hassle and no hidden costs! You can donate junk car to charity in any condition and we will pick it up for free! In many States we don't need a title and we'll work with you to work out the required paperwork. Get a Tax Deduction for your Junker or Wrecked Car! You can even claim a tax deduction when you donate a junk car to charity! Find out details here: More Car Donation Tax Deduction info. Your vehicle donation doesn't end the minute you hang up the phone or click the donate car button. Be assured that you'll receive excellent service throughout the process. You will receive a donation reference number when you donate your car and you'll be able to check for updates online or by phone. Your Car Donation will Make a Difference in Someone's Life! All proceeds from donated junk cars benefit Activated Ministries, an IRS registered 501(c)3 nonprofit organization. read more. 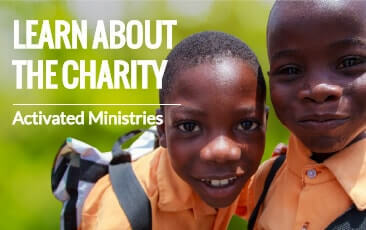 Donate a Car 2 Charity has launched the Cars 2 Care program to provide good quality vehicles to needy individuals or families. To see if your vehicle donation qualifies for the Cars 2 Care program, please call us at 1-877-505-5775. Do you have any questions about how to claim a tax deduction for your car donation? Please call 1(877)254-1743 to speak with one of our courteous & helpful operators.